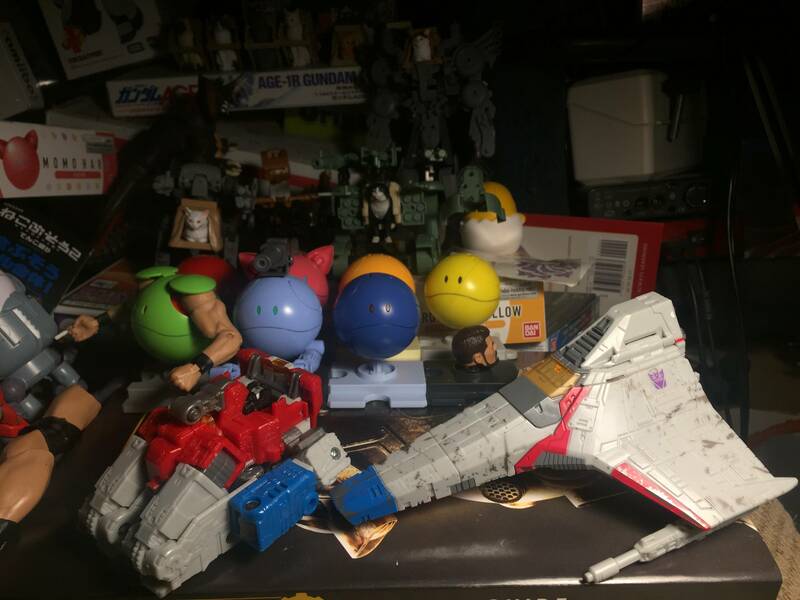 Starscream could also be modded into an actionmaster! 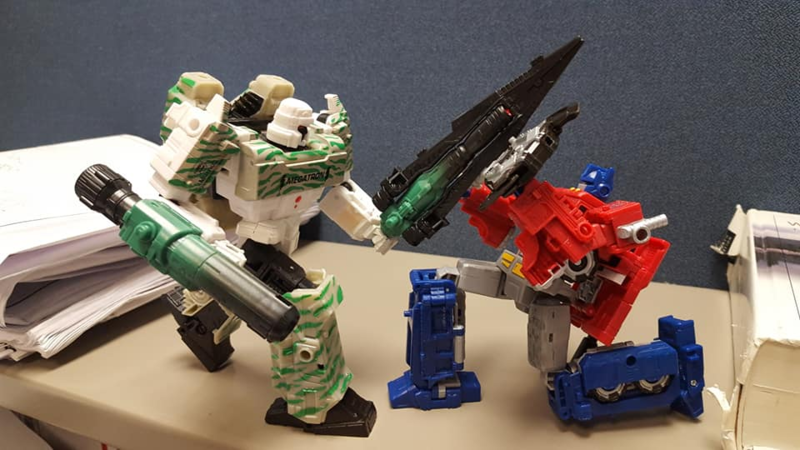 I just watched the SIEGE Starscream review from Grim Trigger. I've got to say, I'm happy with how he turned out. He's not perfect, but he's fantastic nonetheless. Even though Starscream's a robot with a tetra jet on his back, the transformation is still involved, and little things such as how the robot mode shoulder pauldrons are formed from the nosecone of the jet are neat. He does have a bit of an undercarriage in alt mode, but the designers did their best to integrate the robot kibble, like having thrusters in the feet and turning the air intakes on the chest into additional thrusters that match the cluster of three already on the back of the jet. 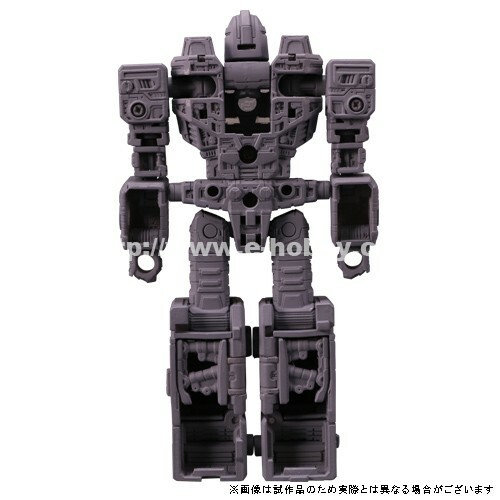 The "faux cockpit" on the back for the sake of the G1 robot design doesn't even look that out of place and could just be a secondary gunner cockpit that's rear-facing. I love how articulated the wings are as well. Starscream seems to be very poseable, and he just looks so good in robot mode too. Even from the back, his kibble doesn't look out of place or just stuck there because there was no place better to put it. The design is very cohesive and the silhouette works from all angles. I also like that he doesn't have hollow forearms. That seems to be a luxury nowadays. 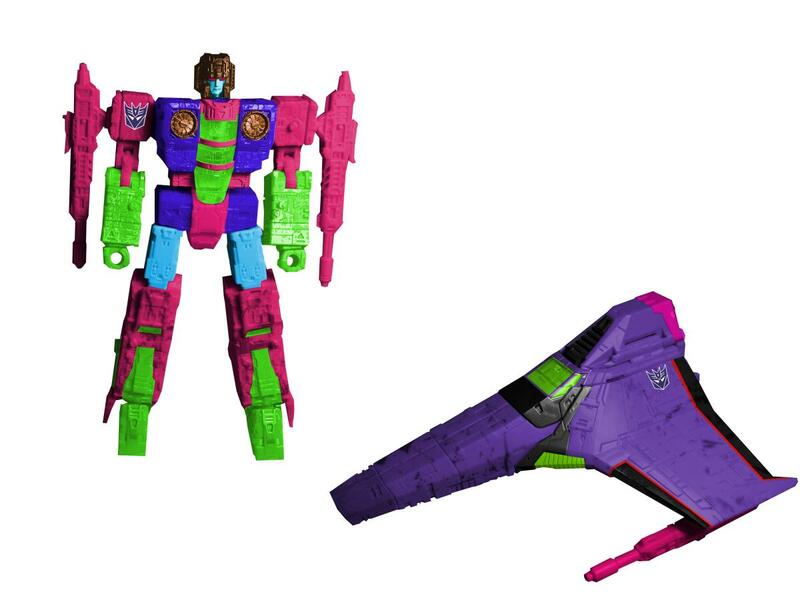 I can hardly wait to get SIEGE Starscream at this point. 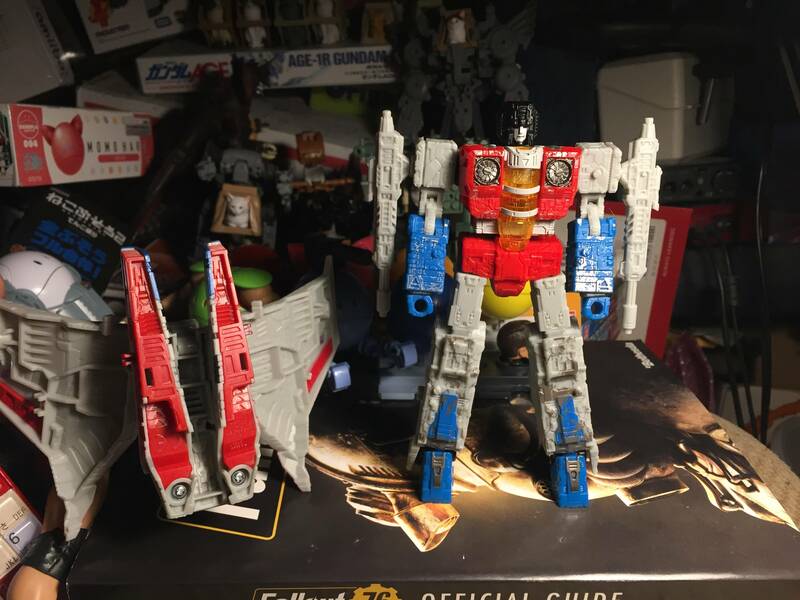 I've been waiting for a good Voyager sized Starscream/Seeker mold for Classics/Generations for YEARS. This is the closest we've even been, and unlike the Power of the Primes figure, this one is VERY satisfying, even if it isn't 100% ideal. 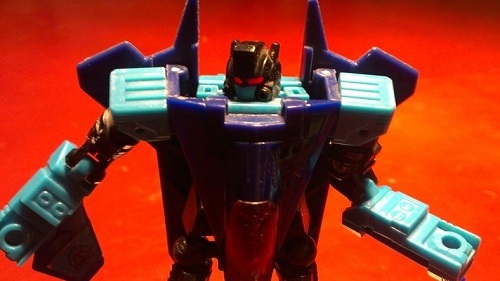 Skritz wrote: Starscream could also be modded into an actionmaster! Motto: "I wish I could hate you to death." Oh, neat! Me and the guy who pointed this out before me were right! Wolfman Jake wrote: That should make it easier to retool him into a proper Earth-mode jet. Ya know, I think this is actually a thing they're doing. Most of these figures seemed designed to be modular enough to double as Earth mode versions. Seige Optimus is a good example. Hard pass on Barricade. I know, I know. He's definitely indicative of what he'd be like in a G1 Sunbrowverse. But you know what's the best part of Barricade? For me? The original movie's deco. That's the mode he's always in in my collection. 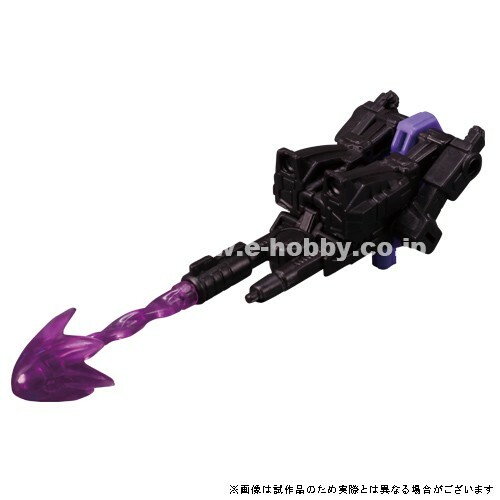 Also a pass on Screamer. If we were talking about JUST Starscream I'd probably go in for it as, on it's own, it passes muster. But we're really talking about buying at least six of the thing, eventually. I just can't stand that alt. mode. 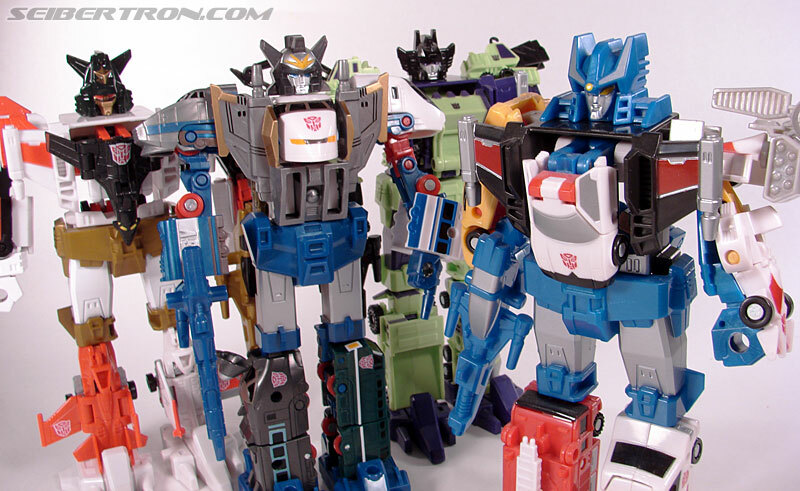 Cybertron did it better. Kinda wish I didn't pass on it back in the day. Not enough of the robot is integrated in the alt. mode for my tastes. 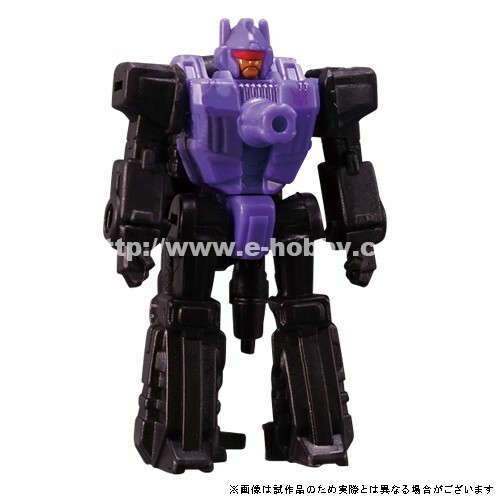 Not to be totally negative: Reflector looks boss and I can't wait to get Soundwave. Jetfire has me seriously rethinking keeping 30 Jetfire too. And, if I had more room, OS looks far better than I thought he'd be. AllNewSuperRobot wrote: I think that is part of the problem though. It's like they have no faith in these new characters being able to assimilate into the series proper, among the original designs. You mean like Optimus always being a red and blue Tractor trailer? Or Megatron always being black and silver? Bumblebee always being yellow? 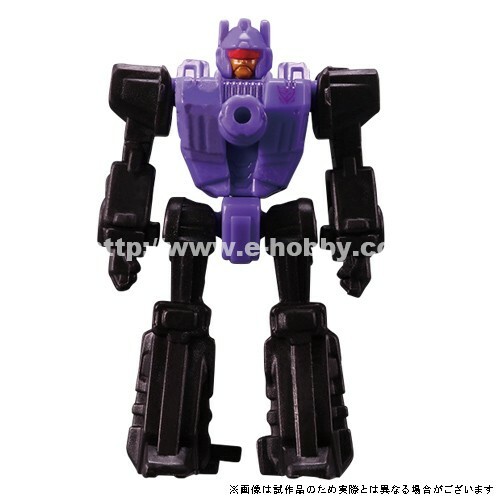 Shockwave always being Purple? 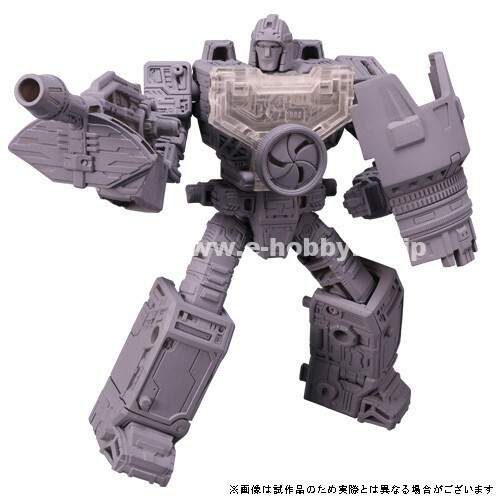 Thanks to the eHobby website, we have some new images to share with you today of the Transformers War for Cybertron Siege Reflector and Caliburst! Up first, we have some shots of the Reflector prototype figure, which gives us the chance to check out the figure from multiple angles. 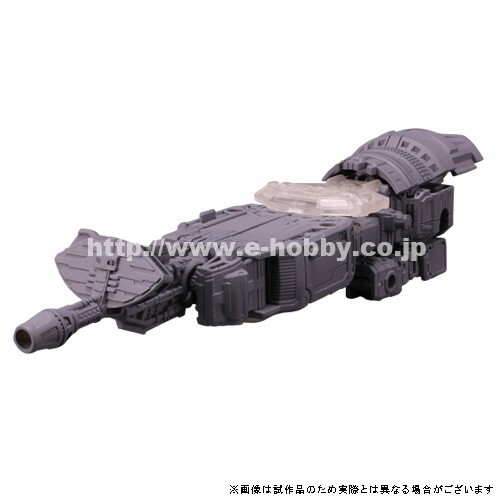 We get a nice look at the clear plastic chestpiece Reflector will come with, and we also get a shot of the back, showing some hollow forearms and lower legs that are somewhat covered up by the landing gear for the individual hover jet mode. 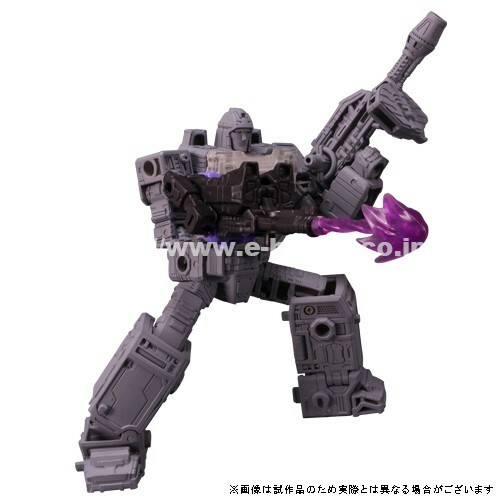 We also get a shot of him holding Caliburst. 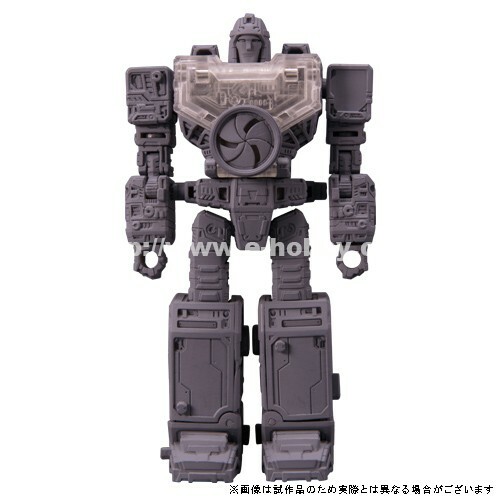 We sadly don't get a picture of the camera mode you get by buying three Reflector figures and combining them together. 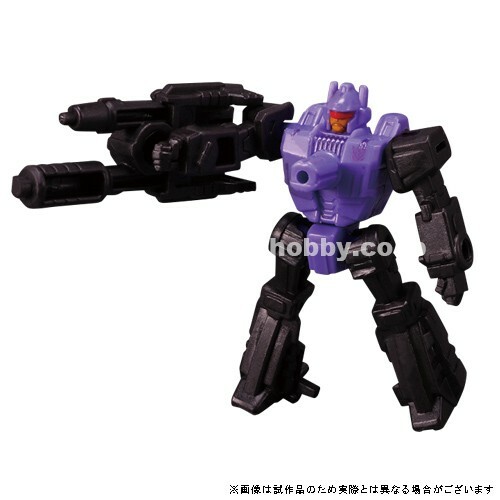 Speaking of which, Caliburst comes onto the scene as a repaint of the Wave 1 Blowpipe, featuring a new and pretty cool blast effect. 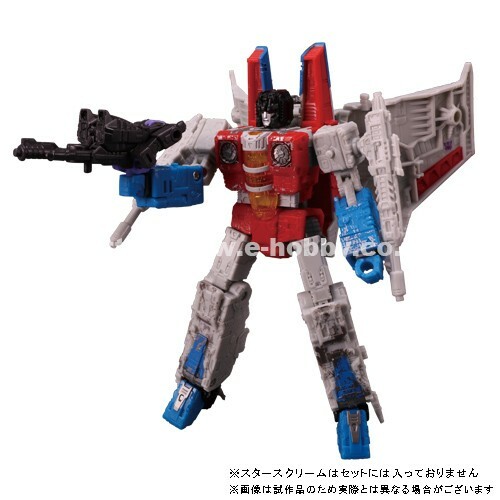 We also get a shot of the newly released Starscream figure wielding him as well. Check out the images below, and let us know what you think of the pair in the comments section below! Wait a minute... Not "Refraktor"? I guess Takara doesn't have the same Trademark issues with the name that Hasbro might have. 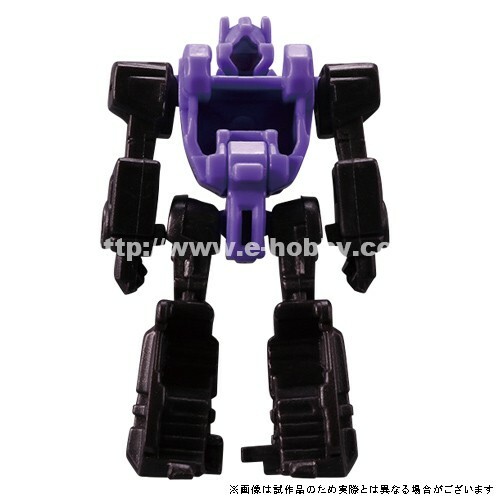 Sabrblade wrote: I guess Takara doesn't have the same Trademark issues with the name that Hasbro might have. ... despite having the "Decepticon" prefix. Quite funny how one area doesn't need while the other doesn't. Last edited by JelZe GoldRabbit on Tue Mar 05, 2019 9:29 pm, edited 1 time in total. 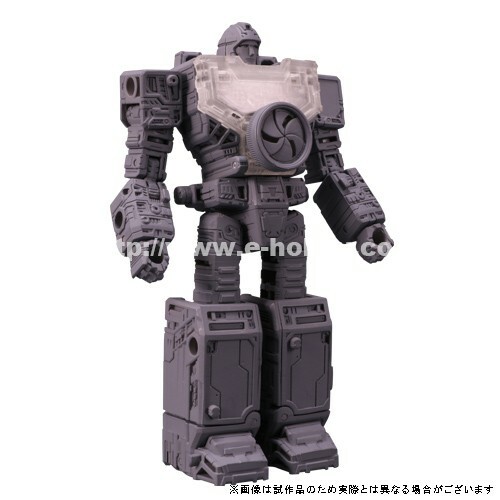 Come on now give us Drift from Springer! As usual, I don't mind the hollow limbs. The accessories are pretty large here and so probably needed the mass. I like the idea of character geting recognition and being adapted on other versions,but he looks like he could have more detail. These G1 inspired line keep absorving details from other parts o the frachise,so much so that I personally think being G1 inspired isn't that much of descriptive term for design. Wireless_Phantom wrote: Come on now give us Drift from Springer! This is a great idea to bring more movie inspired parts to the toyline! 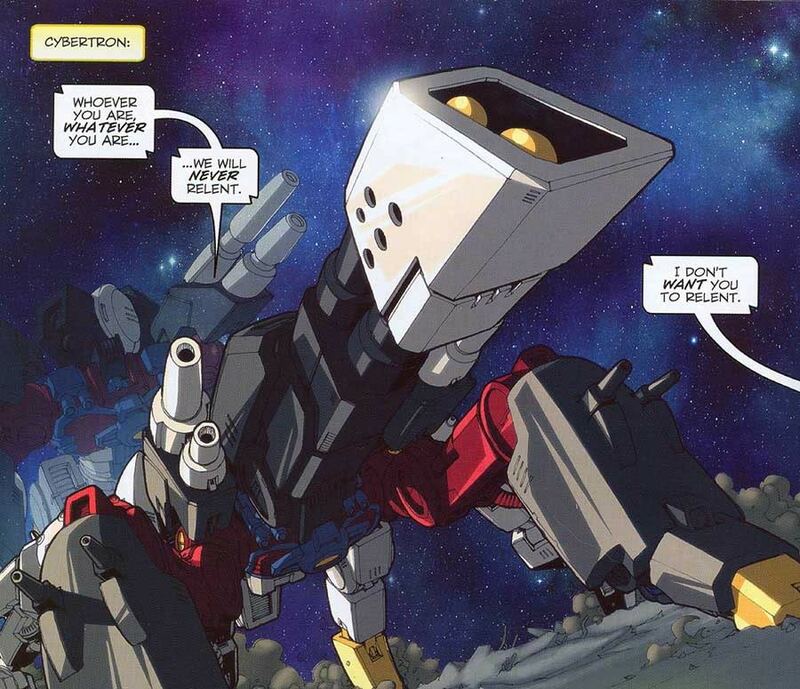 But in Drift's case, its bringing IDW verse to an old school G1 setting, not movie inspired. Eslecially since it reflects the decepticon aspect which is not a big part of the movie character. 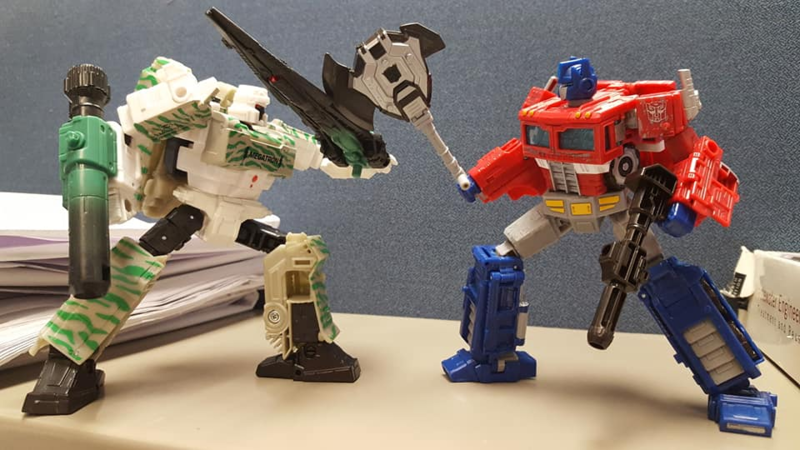 I'm calling it now: Hasbro has a Deadlock head built into Springer. Whether or not it'll see use, who knows? Motto: "Operation: T E R M I N A T I O N"
Last edited by Albatross250 on Tue Mar 05, 2019 11:55 pm, edited 1 time in total. Still Playing Fall Of Cybertron, it's still a great sequel! More Walmart sadness! I stopped by one I checked yesterday again tonight just to make sure that the Transformers figures weren't in a different section, as they were in a different Walmart I visited last week. Sure enough, it was still just that lonely Studio Series Dropkick and nothing else. I tried another Walmart after that, and all they had was one SIEGE Megatron and three G1 Optimus Primes. I guess that's an improvement? I asked the guy stocking the toy aisles what was going on with the lack of Transformers figures. I pointed out that this was the third Walmart in the area with next to nothing in stock for any Transformers figures. He thought maybe they were all cleared out for "a new line" coming out. I tried to explain to him that the new lines had already come out a few months ago and that they are way behind on the latest stuff. This seemed to be beyond his understanding. Target is practically the only game in town now for collectors. 4,633 pages were recently viewed by 864 unique visitors. This page was viewed 1 times on Saturday, April 20th 2019 2:04am CDT. © 2019 Seibertron, Inc. DBA Seibertron.com. All Rights Reserved. Established June 2000. Seibertron.com is owned by Ryan Yzquierdo.